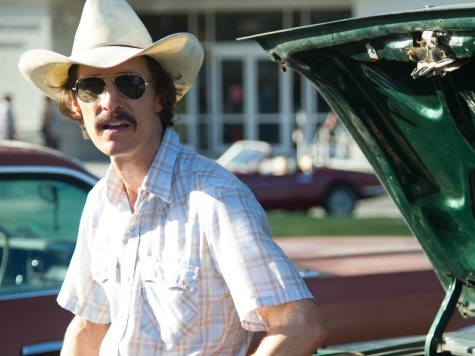 We don’t know if Dallas Buyers Club will walk away with an Oscar or two come Sunday night. The celebrated drama starring Matthew McConaughey as an AIDS patient scrambling to treat his illness already picked up one award this week. The Moving Picture Institute’s Liberty in Film Awards honoring “entrepreneurship and self-determination” gave the film its highest honor today. Other winners included The Hunger Games: Catching Fire, Man of Steel, and 12 Years A Slave. The complete list of award recipients can be found at www.libertyinfilm.com. The group also singles out films which fail to reflect the true spirit of the country. The sci-fi dud Elysium snared a “Dishonorable Mention” for its class warfare themes and erroneous view of income inequality.